1545 Posts – There are that many posts on this site. 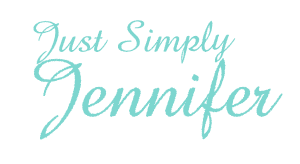 | Just Simply Jennifer! It’s been 4 years since I last posted on this site. It’s strange because I come and update and look around quite frequently. This site has sort of faded into being part of my history. I explain to people how it used to be quite popular to read. I had people stop me in public and in fact, that is what got me to stop creating this page. I was followed for about a week from someone. It still remains that there are over 1500 stories of my life in here and I find a lot of them interesting. I sometimes debate coming back and writing again. My life is vastly different but eerily similar to the days of writing here. I’m married again. I now have 3 children, but the happy times shared on here about my oldest are all so similar to the times I’m experiencing at the moment with my youngest. It’s like looking in a mirror that may or may not have been so kind to me. I’ve got grey hair for the moment. (I did buy dye though this week for a major change.) I’m still loving life though and I guess that is the key to everything. I left Tennessee. We never really quite fit in there and it was easy to leave. We’re in Virginia and honestly. I hope that I stay here for the rest of my life. It’s quite a lovely area and so much going on. I just love it. Anyways… 1546 posts now. Isn’t that crazy?